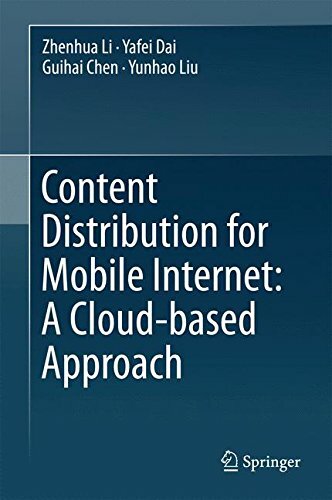 This book investigates the cloud-based techniques of content distribution mainly for mobile Internet. It starts with hot topics such as cellular traffic optimization and video content delivery. By integrating the cloud scheme, it further tackles issues of traffic-saving, energy-efficient, high-speed, and delay-tolerant content delivery with regard to mobile Internet. It covers both theoretical algorithms and their real-world system implementations. In particular, various well-known cloud platforms such as Baidu Traffic Guard, Tencent QQXuanfeng, Google Drive, Microsoft OneDrive, and Dropbox are elaborated respectively in the book. Lastly, it includes an educational and experimental cloud computing platform allowing public access, which benefits researchers, practitioners, and developers in the field of cloud computing/storage and mobile Internet. Throughout the book there are helpful and practical tips on setting up cloud systems that readers can easily follow. About: This book investigates the cloud-based techniques of content distribution mainly for mobile Internet.